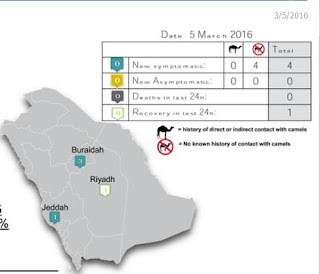 Over the past two reporting days the Saudi MOH has announced two MERS cases from Buraidah; a 40 y.o. male who was reported to have died yesterday, and a 67 y.o. female reportedly in critical condition. Today, the MOH announces 3 more cases from Buraidah, 2 listed in critical condition and 1 listed as stable. 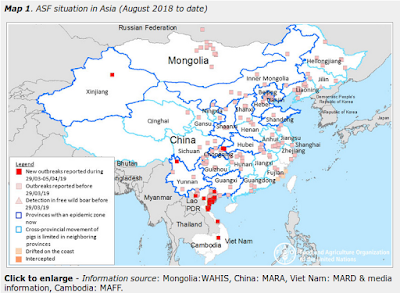 Their potential exposures are all listed as `Under Investigation', and it isn't clear how (or if) they are all linked. Additionally a 49 y.o. male Health Care Worker from Jeddah - also listed in stable condition - is announced, and his route of exposure is also under investigation as well. It is worth noting we haven't seen a report from in or around Jeddah in more than a month. 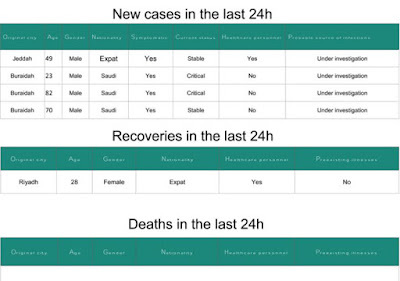 Over the past two weeks we've seen 18 new cases announced by the Saudi MOH - which is two more than we saw during the first six weeks of the year.